The vast bulk of commercial waste collected in Ireland is transferred or segregated at site operated by IWMA Members. 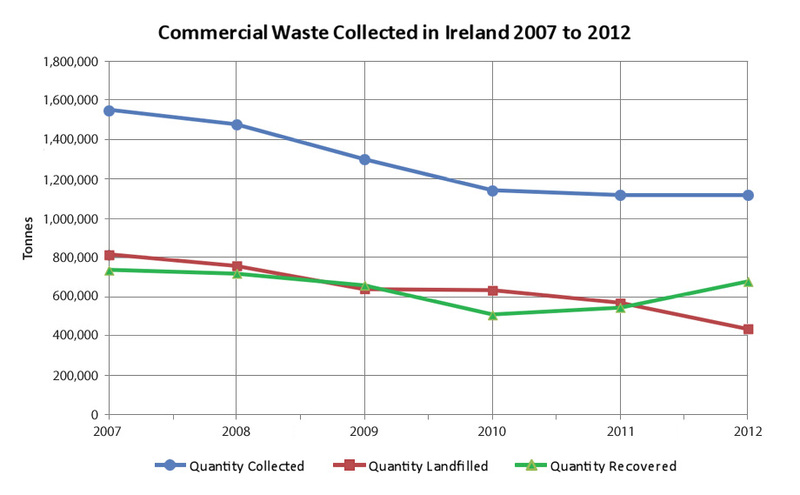 The EPA National Waste Reports show that commercial waste volumes have declined in recent years and recovery of these wastes has increased with less and less material consigned to landfill, as shown on the graph below. We expect that trend to continue in Ireland in the future.